For Greenwich residents, The Nathaniel Witherell’s short-term rehabilitation services are a “Town jewel.” But now that The Nathaniel Witherell has received one of the new and coveted short-stay rehab ratings from U.S. News & World Report, residents across Connecticut will become aware of the high-quality care, top staff, and positive patient outcomes for which the Witherell’s short-term rehabilitation program is known. 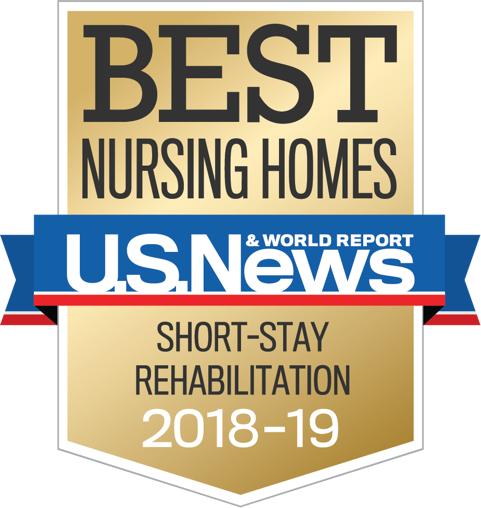 U.S. News & World Report added the short-term rehabilitation ranking to its much-viewed nursing home ratings this year in response to increased demand for such services. The outlet consistently hailed the Witherell as a top performer for its skilled nursing services as well. The rankings are based on sets of three claims-based outcomes — rehospitalizations, discharge to the community, emergency department visits, staffing levels, resident complaints, flu vaccinations rates, and more. Outpatient Rehabilitation:Physical, occupational, and speech therapy services are available on an outpatient basis. Services are performed in the Witherell’s 4,000 square-foot, state-of-the-art facility that features distinct suites for physical therapy, occupational therapy, and speech and language pathology services, state of the art therapy equipment, and 46 private rooms for comfortable and complete recuperation.